"Acoustic Quality Formula xHD DAC has now climbed up the ladder and reached the plane, where the sense of realism is more closely mimicking the real thing. Such, exhibited performance is usually reserved for the bigger and more expensive "players", so this alone makes a Formula Xhd DAC a serious contender at a "sensible" price. 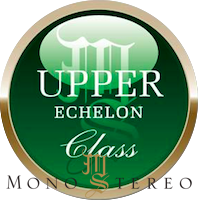 For what it represents sonic-wise, for its modularity and upgradability and nonetheless for its given pricing (compared to the rivals), I'm happily giving out the Mono and Stereo Upper Echelon Product award."